Green Ham … and Eggs? 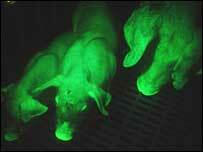 Glow-in-the-dark pigs. What else is there to say?